The current Miss Universe, France's Iris Mittenaere has returned home to a hero's welcome. It is the first time Mittenaere is in her country since she won the 65th Miss Universe title on January 30th in Manila. She moved to New York City to work for the Miss Universe Organization shortly after she was crowned. 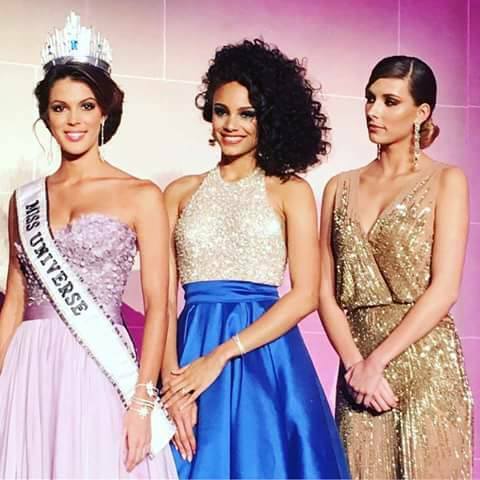 She was reunited with Miss France organizer, Sylvie Tellier, and the reigning Miss France, Alicia Aylies.